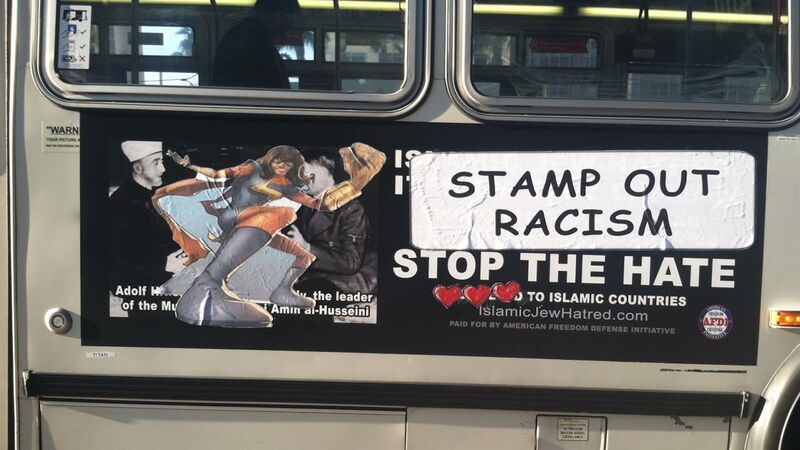 SAN FRANCISCO (KGO) -- Someone has defaced the new anti-Muslim ads on San Francisco's Muni buses. A couple of weeks ago, the American Freedom Defense Initiative started running the ads. The ads draw parallels between the Muslim faith and Hitler's Nazi genocide of the Jewish people. This week, the Street Cred Facebook page reported that the ads have been defaced with a superhero and a message of stopping hate speech. The superhero in question is Kamala Khan, the first Muslim, Pakistani-American superhero.